Diamonds are created when carbon is exposed to tremendous heat and pressure deep down in the earth. Unlike lab created diamonds, at least 99% of natural occurring diamonds exhibit characteristics or flaws that jewelers refer to as inclusions or blemishes. Inclusions describe internal characteristics of the diamond and blemishes refer to external flaws. 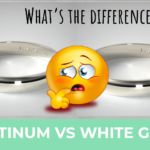 Both affect the diamond clarity grade. However, not all flaws are alike. When grading a diamonds clarity there are five grading factors that jewelers consider, that is the size, number, position, nature and color & relief of the flaws. 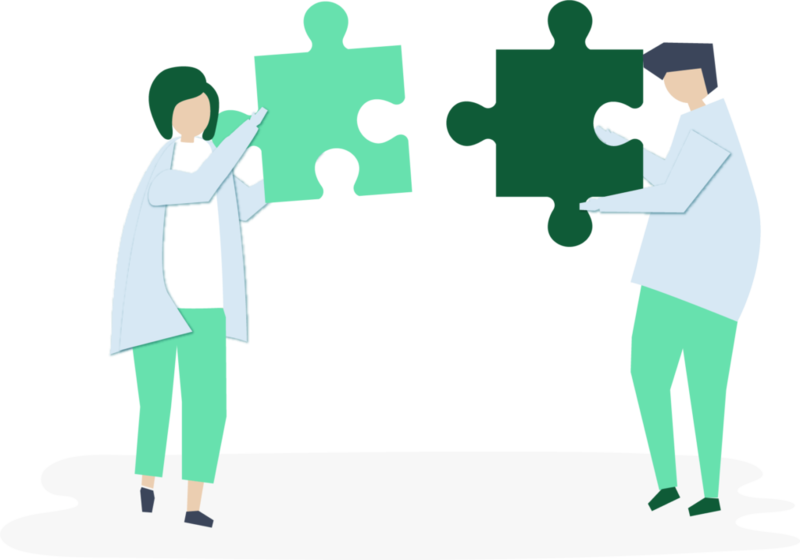 For instance, some inclusion and blemishes are so small that you can hardly see them, whereas other, larger ones, are visible to the naked eye. Visible inclusions generally lead to a lower clarity grade of a diamond. 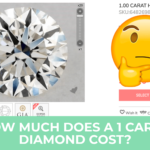 What many people don’t know is that the cut of a diamond, as well as the size of the inclusions and blemishes play an important role in the resulting overall look of the diamond. Because it can very well happen that a lower graded diamond looks better to the naked eye than a higher graded diamond. I’ll explain. You might wonder who actually determines the clarity grade of a diamond. It’s actually not the jewelers or diamond vendors themselves (at least not the good ones like James Allen). 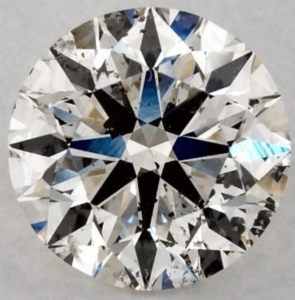 FL Clarity Diamonds – No visible inclusions and blemishes even under 10x magnitude. 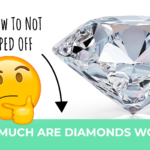 Less than 1% of all diamonds are FL clarity. Superb clarity grade, very expensive. IF Clarity Diamonds – No visible inclusions even under 10x magnitude. Some small surface blemishes may be visible. Superb clarity grade, very expensive. 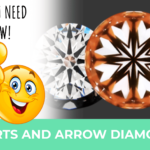 VVS1 & VVS2 Clarity Diamonds – VVS1 diamonds have minor inclusions that are difficult to spot even under a 10x magnification. 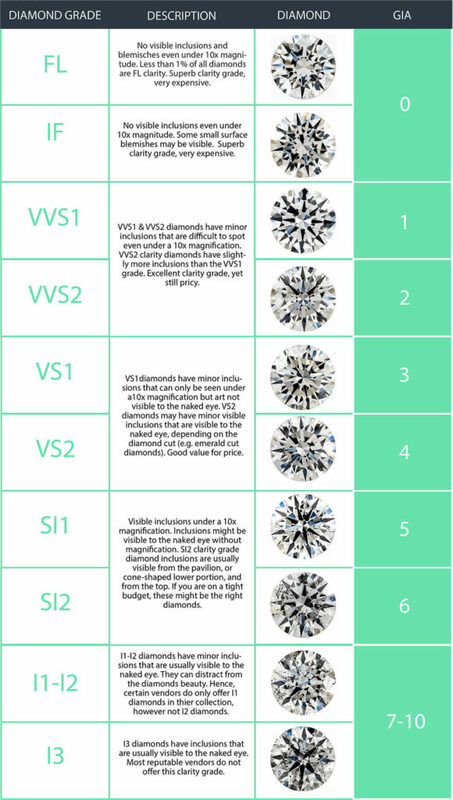 VVS2 clarity diamonds have slightly more inclusions than the VVS1 grade. Excellent clarity grade, yet still pricy. 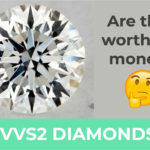 VS1 & VS2 Clarity Diamonds – VS1 diamonds have minor inclusions that can only be seen under a 10x magnification but are not visible to the naked eye. VS2 diamonds may have minor visible inclusion that are visible to the naked eye, depending on the diamond cut (e.g. emerald cut diamonds. Good value for price. SI1 & SI2 Clarity Diamonds – Visible inclusions under a 10x magnification. Small inclusions might be visible to the naked eye without magnification. SI2 clarity grade diamond inclusions are usually visible from the pavilion, or cone-shaped lower portion, and from the top. 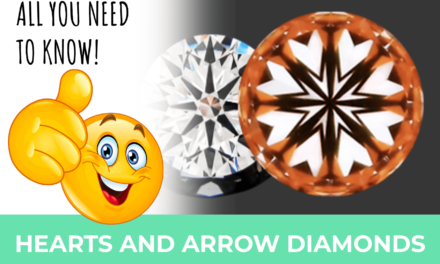 If you are on a budget, these might be the right diamonds! Not all diamonds are cut in the same way. In fact, there are many different diamond cuts you can choose from, such as emerald-, princess- or round cut diamonds. 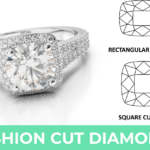 The cut affects the clarity in a way that you would need a higher clarity grade if you opted for steep cut diamonds which emphasize transparency and let you see farther down into the diamond such as emerald- and asher cut diamonds. 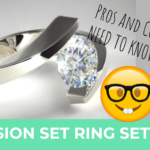 Other diamond cuts, such as oval, princess or round cut diamonds naturally reflect more light and thus are able to camouflage certain inclusions in a better way. Hence, you can purchase a lower clarity grade. 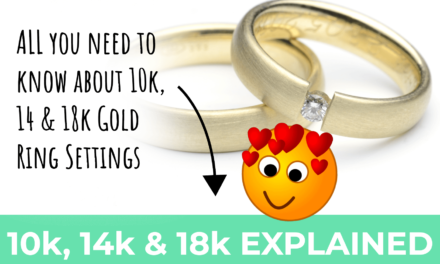 In addition to that the size of the diamond affects which clarity grade you should buy. Larger diamonds have larger facets and thus show off more what’s inside of the diamond. As a rule of thus you should therefore buy a higher clarity grade the bigger the diamond gets. 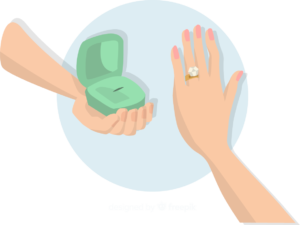 Another factor you want to consider is the diamond color. In general, the better the color grade the less visible are inclusions and blemishes, as the diamond’s reflection will be stronger. 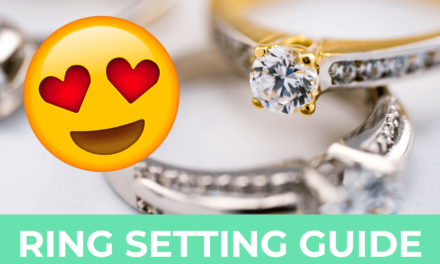 What’s The Best Clarity Grade For An Engagement Ring? When looking for a loose diamond for your engagement ring you want a diamond that is sparkly and beautiful. On the one hand you can pay too much money on an excellent color grade even though it doesn’t look any different from a lower diamond clarity grade. On the other hand, a clarity grade that is too low might diminish the diamonds beauty. VS 1, VS2, SI1, and SI2. 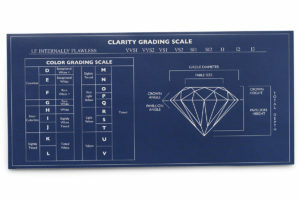 All these clarity grades can still be eye clean and thus not distract from your diamonds beauty. 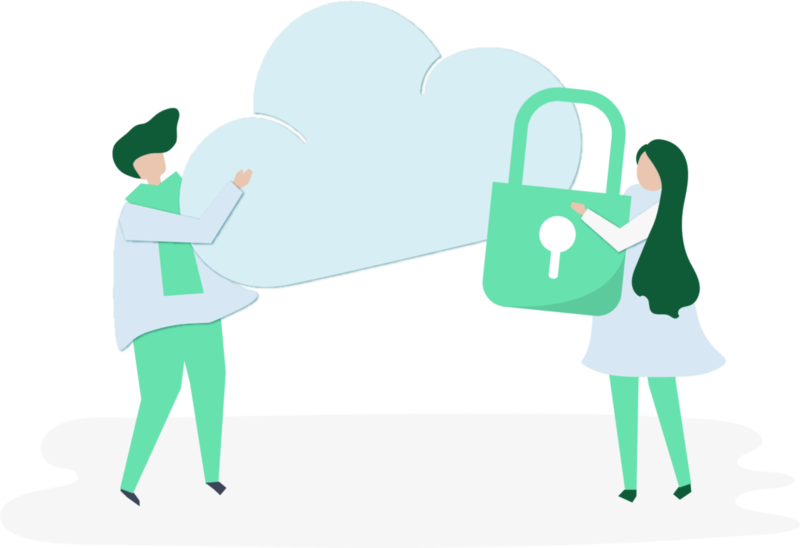 A little trick on the side: If you want to get the very best value for your money choose one of the lower grades like SI1 and SI2. Utilize James Allen’s 360 degree high resolution pictures and videos to detect where the inclusions are located. With a little bit of time and effort you will find many diamonds in this clarity range that have inclusions in places where they aren’t directly visible, hence eye clean. 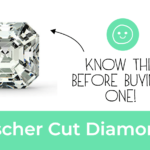 If you intend to purchase a diamond that is emerald or asher cut, larger than 1.5ct or has a low color grade, I’d recommend to go no lower than VS2. 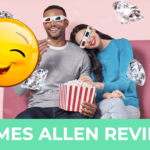 My absolute favorite online vendor for purchasing diamond engagement rings and loose diamonds is James Allen. 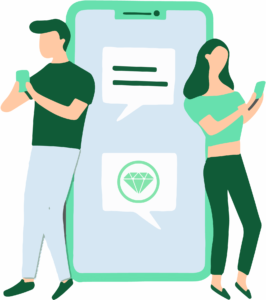 One of the reasons is that James Allen has a great search machine where you can input all the characteristics of a diamond you are looking for. PreviousAre Clarity Enhanced Diamonds a Good Natural Diamond Alternative? 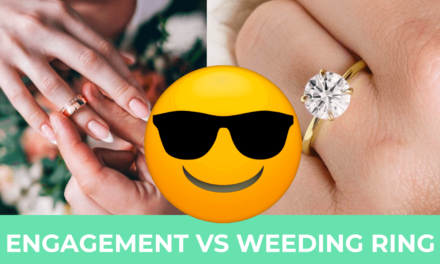 NextMoissanite vs Diamond – A Worthy Diamond Alternative?